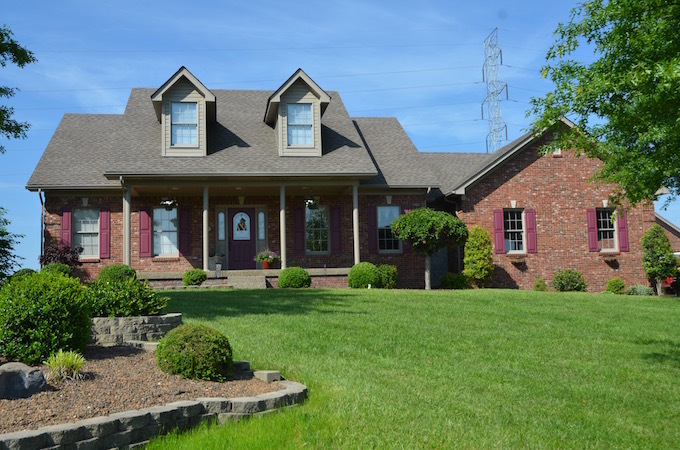 Not every house has to worry about brick flashing. For those of us that have counter flashing on our chimneys or roof walls, we go through ways to install and if you need to maintain it. 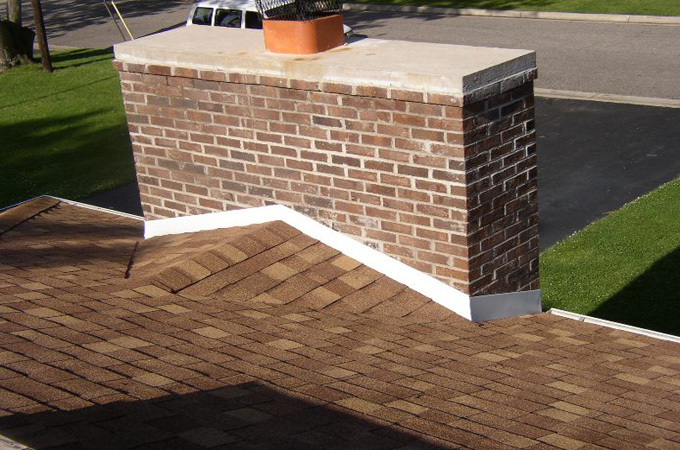 Brick flashing or as most roofing contractors call it “Counter Flashing” Provides a decorative and solid cover for your step flashing against the brick, or around the chimney on your home. The materials used to make up your counter or brick flashing most commonly is sheet metal, depending on the color of your roof or your preference. Your roofing contractor can install any color counter flashing. 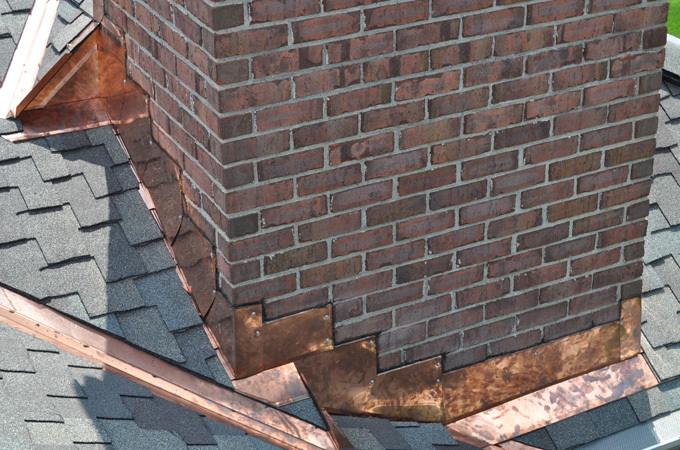 Copper counter or brick flashing is another common choice for homeowners, but with copper comes a higher price tag. Brick or counter flashing, installed multiple ways. Either cut into the brick or nailed against it and sealed along the top and top front half. With either installation practice, it prevents water from penetrating the flashing and seeping in behind your step flashing. Now we know every company has its preference and every homeowner has its preference on how the counter or brick flashing is installed. The only wrong way to install brick or counter flashing is to not install it at all. Counter flashing is a very low maintenance system in general. You may need to have the sealant touched up if you develop small leaks. Make sure you use a silicone based caulking versus a roof tar. Not only for the aesthetics of your roof but for roof longevity as well. 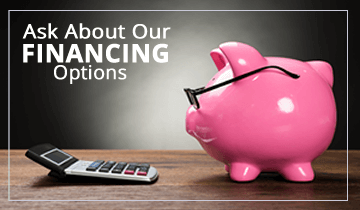 Take the time to have your Local Roofing Contractor explain the process they will use to install the counter flashing on your home. It just may save you a few headaches down the road. Every year homes all around the country decorate for Halloween. 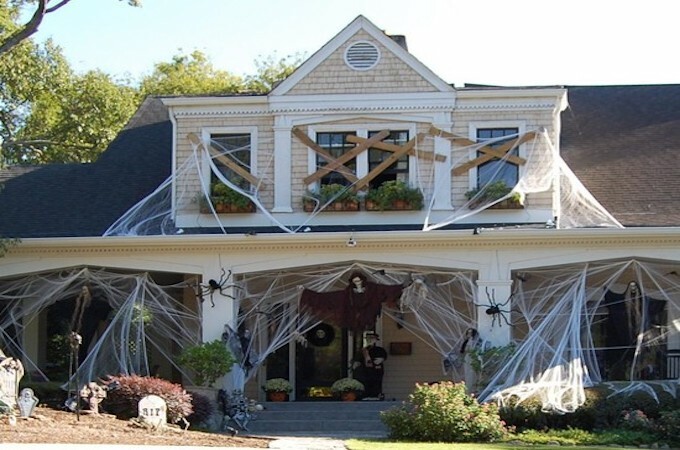 We take a fun look at some of the best ways to decorate your roof for Halloween and some of the things you will need to know about decorating your roof in a safe way that will not cause problems inside and out of your home. 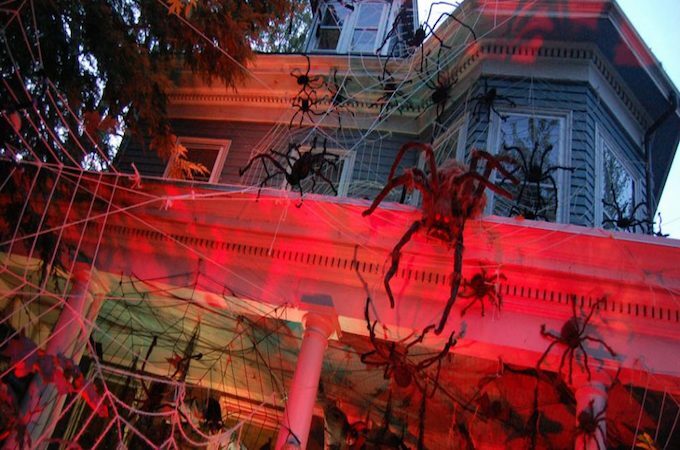 These are some of the funniest and scariest ways to decorate your roof for Halloween. 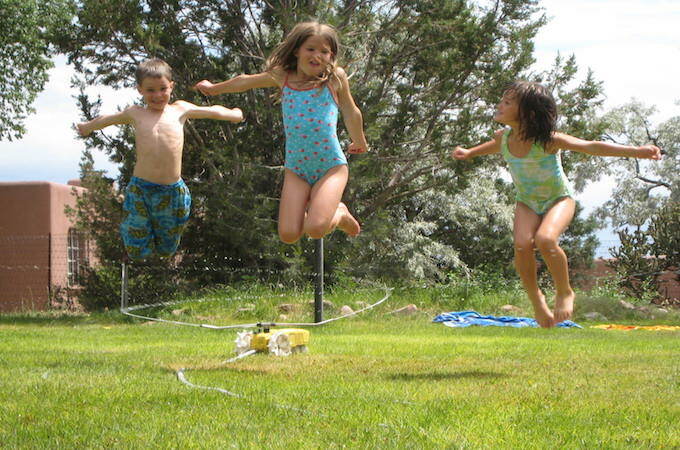 Have you seen some fun or scary ways? 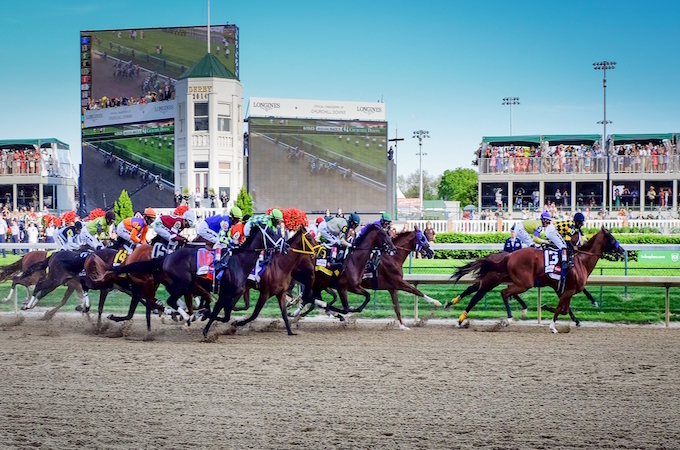 Send them our way! Scary and extremely in depth. It may take a lot of time but these decorations are guaranteed to scare the trick or treaters and be the talk of the neighborhood. Simple but enough. 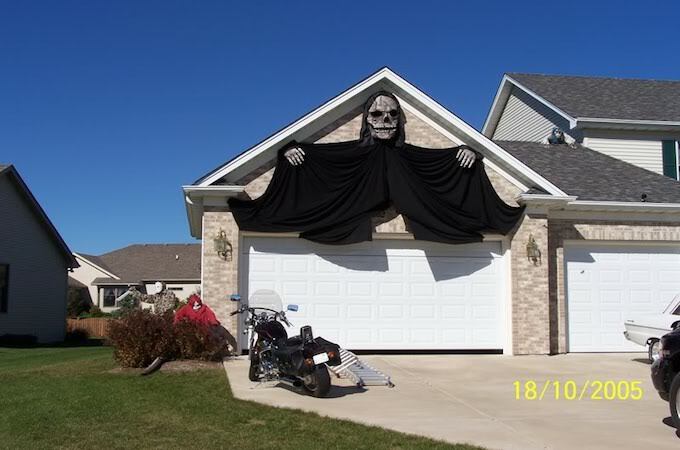 the grim reaper hanging above your garage, can you get any creepier? I submit you can not! When it comes to decorating your roof for the holidays. Make sure you take the time to do it right, if your decorations come with clips for the shingles use them. We know they do not always seem the most reliable but it is better to clip than nail into the shingles and create leaks all over your roof. If you don’t feel comfortable climbing around on your roof to decorate or install the decorations, call your local roofing contractor for assistance. We may not have the touch to pick out your halloween decorations. But, when it comes to knowing how to install decorations, or to fix a problem that may have accidentally been caused during the decoration installation. We have it nailed! Everyone at some point in their homeownership is faced with a damaged shingle or twenty. 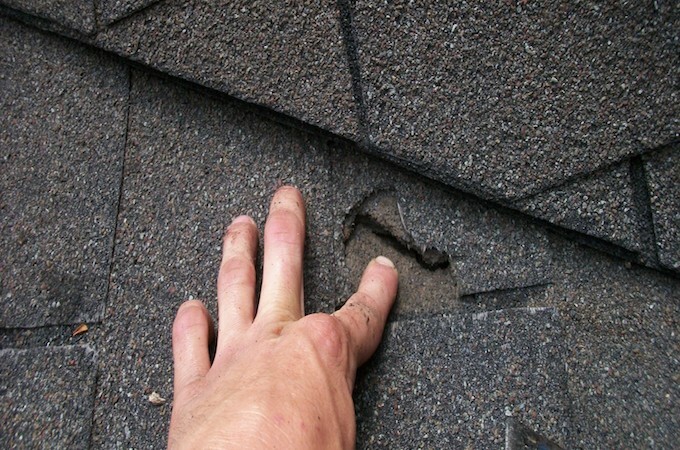 How hard is it to replace a damaged shingle you ask? Not hard at all, I know easier said than done, how about we walk you through it real quick! The hardest part of replacing a shingle is getting the correct match on the color. There are two ways to handle it. One, you can take the damaged part into your local roofing supply company or even Lowes or Home Depot and they will match the color up for you quickly. 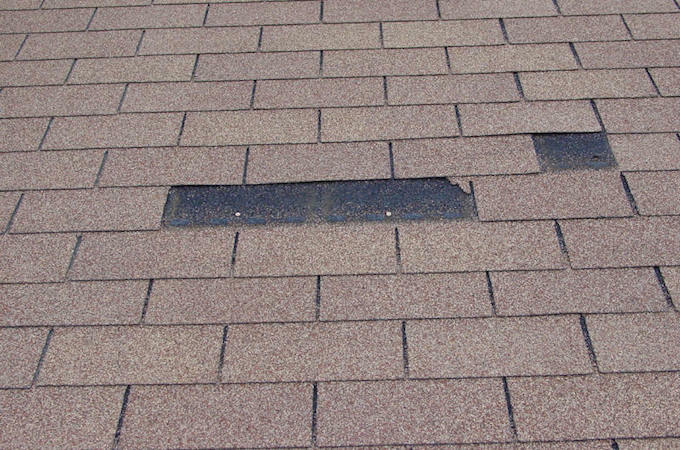 The second option you have if your shingle is one that is discontinued. 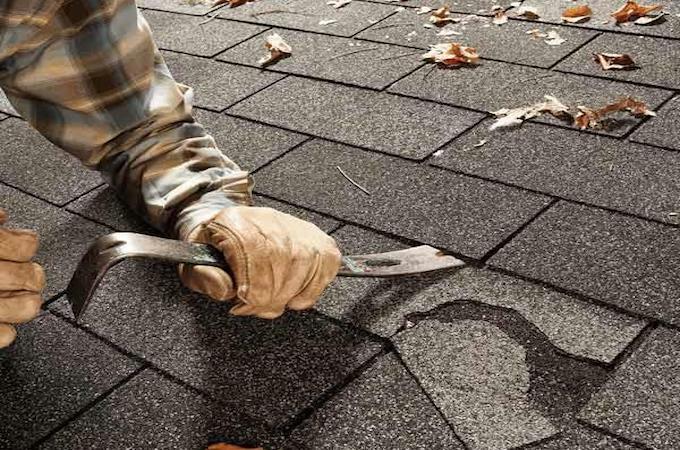 Remove the shingle from a less noticeable slope of the home, replace that shingle with a close match. Then move the old shingle to the original damaged location. This gives your home a uniform look on the more visible slope. Insert a putty knife or flat pry bar under and above the damaged shingle to break the seals holding the shingle down. Use a utility knife, to cut off the single tab if your home is a 3-tab shingle or remove the entire shingle. Slide the new shingle or tab in place, secure it under the shingle above with at a minimum 1” roofing nail. Once the damaged shingle is replaced, lift the tab up and apply a small amount of roof cement of silicone to help adhere the shingle. 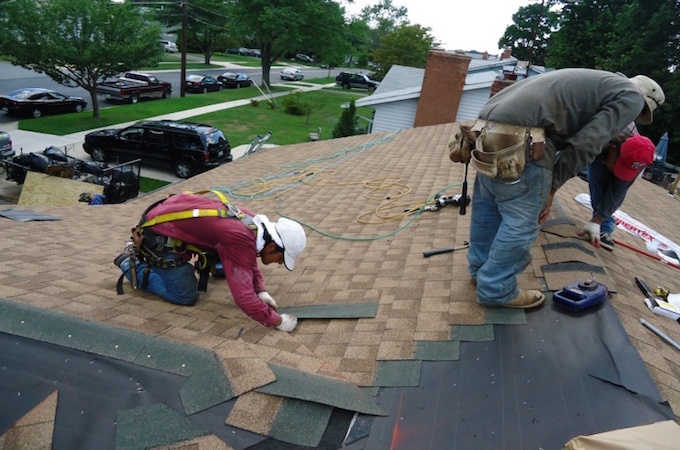 If you do not feel comfortable on your roof, or not sure you completely understand the process. 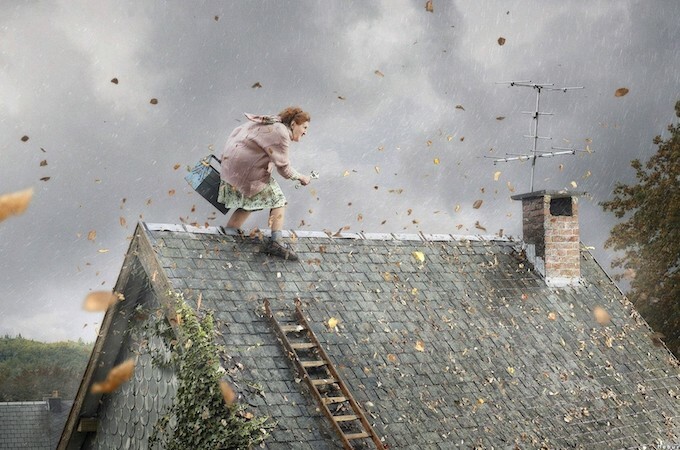 Call your local roofing contractor for help, repairs are completed shortly and carry a full warranty.